St. Albert Curling Club Oil Kings Night! 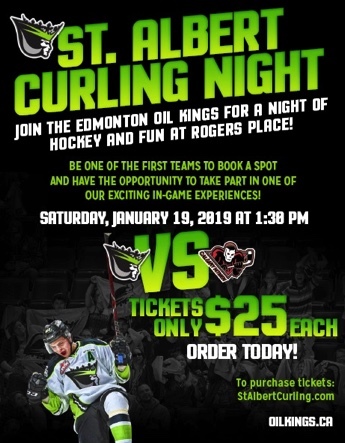 Join us for the St. Albert Curling Night Oil Kings Game! Saturday, January 19, 2019 at 1:30pm vs the Calgary Hitmen! Tickets are $25.00 each (Vouchers also available for any Oil Kings games this season for $25.00 each). Early Bird Bonus - Tickets purchased by December 3, 2018 will go in for a draw to be part of the Honour Guard at the Game! All proceeds will go to support Junior Curling at the St. Albert Curling Club. Makes a great Christmas gift! 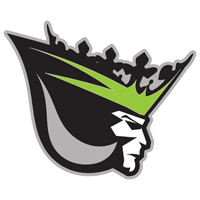 Event Name: St. Albert Curling Club Oil Kings Night!